Reserve Bank of India (RBI) Deputy Governor Viral Acharya warned that undermining a central bank's independence could be "potentially catastrophic". Modi's government is pushing the central bank to relax lending norms for small businesses. Government officials are very upset with the central bank for publicly talking about a rift with the government, fearing it could tarnish the country's image among investors, senior officials said on Monday. On Friday night, Reserve Bank of India (RBI) Deputy Governor Viral Acharya warned that undermining a central bank's independence could be "potentially catastrophic", in an indication that it is pushing back hard against government pressure to relax its policies and reduce its powers. In a speech to top industrialists Acharya cited the Argentine government's meddling in its central bank's affairs in 2010 as an example of what can go wrong. That led to a surge in bond yields that badly hurt the South American economy. "Governments that do not respect central bank independence will sooner or later incur the wrath of financial markets, ignite economic fire, and come to rue the day they undermined an important regulatory institution," Acharya said. The government officials Reuters spoke to on Monday declined to be identified because of the sensitivity of the subject. One said that it was vital that what happened between the government in New Delhi and the RBI in Mumbai was kept confidential. "The government respects the autonomy and independence of the RBI but they must understand their responsibility," the official said. A second official, based in Prime Minister Narendra Modi's office, said it was "very unfortunate" that the RBI took the matters public. "The government is very upset. It was not expected from the RBI," the official added. An RBI spokesman was not immediately available for comments after business hours. 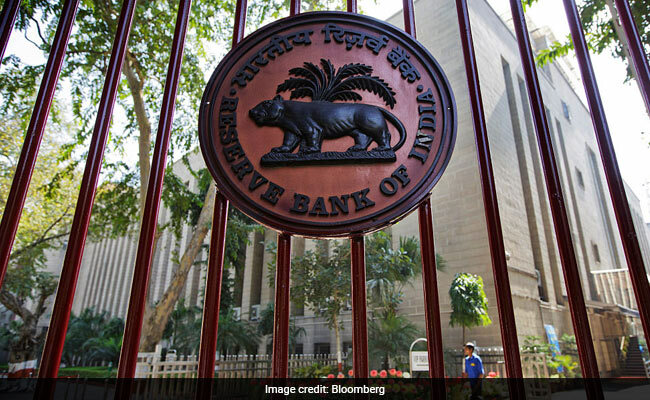 Government officials have recently called for the RBI to relax its lending restrictions on some banks, and New Delhi has also been trying to trim the RBI's regulatory powers by setting up a new regulator for the country's payments system. The Modi administration has also been pushing the central bank to part with some of its 3.6 trillion rupees ($49 billion)surplus to help bridge the fiscal deficit and finance its welfare programmes. The officials in New Delhi were particularly angry that Acharya launched the attack while Modi was about to head to Japan for talks with Prime Minister Shinzo Abe, the first source said. Finance ministry officials remained largely silent in response to the speech at the weekend, as they didn't want to aggravate the issue when Modi and top officials were in Japan, this official said. Government officials believe that RBI Governor Urjit Patel has some responsibility for the controversy, and he cannot expect an extension of his current three-year term - which ends next September - "as his right", one of the officials added. Acharya had three of his fellow deputy governors in the audience and also thanked Governor Patel for his "suggestion to explore this theme for a speech", in a show of unity from an institution typically known for its restraint. The official in the prime minister's office said Patel could face a tough time when he appears before a parliamentary standing committee on Nov. 12. Top government officials said they were surprised that Patel, who was appointed by the Modi administration in 2016, and initially cooperated with New Delhi, is creating tensions when the government is facing criticism over handling of the economy before a national election, due by next May. On Monday, a third government source said the finance ministry was worried how markets would respond to Acharya's public comments, but felt more relaxed after they rose. The gains were largely a result of a separate announcement by the RBI about an injection of liquidity through government bond buying. The benchmark stock index rose as much as 2.15 per cent and the yields on the 10-year benchmark fell to 7.81 per cent, compared with 7.88 percent on Friday. Modi's government is pushing the central bank to relax lending norms for small businesses and pump more liquidity into the market to bolster economic growth before key state elections due in the next few weeks and the general election. It is worried that the central bank's hawkish monetary stance and stringent regulations on lending by state banks could push economic growth below 7 per cent in the October-December quarter - the last quarter for which data would be available ahead of the general election. "When we are facing problems on the external front like high crude oil prices, trade tensions putting pressure on our current account balance, can we afford another domestic crisis?" the third government source said.